The Fort Collins Ale Trail is the best way to get $100s in offers at your favorite local businesses and support charity at the same time! Let’s hit the trail! Download the free DonorTrail App so all of your offers are always with you whenever you’re out hitting the trail. 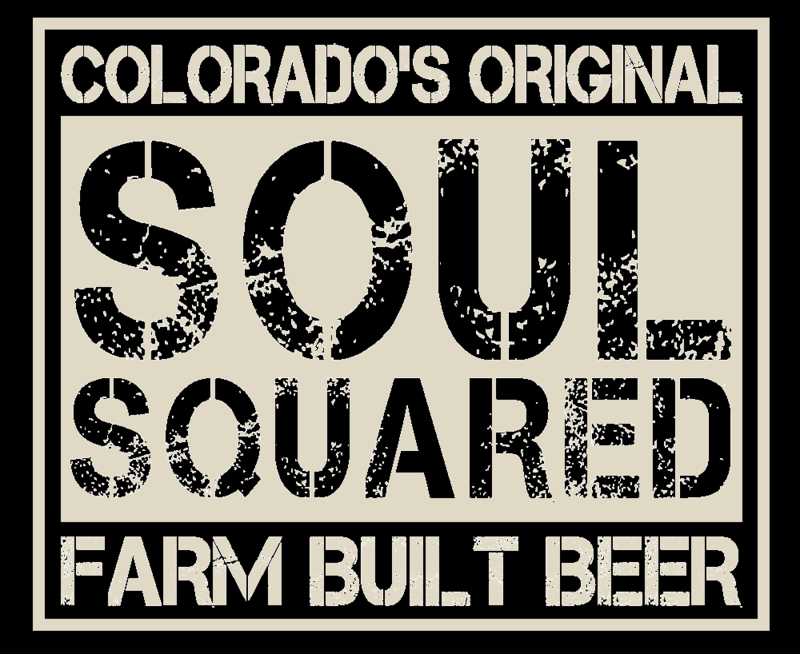 Choose which charity you’d like the proceeds to benefit and then purchase the Fort Collins Ale Trail Pass for only $20.00. Save money with over $100 worth in offers to local businesses and feel great about making an impact both locally and globally! One time, buy one, get one. Draft only. Fort Collins Habitat for Humanity, an ecumenical Christian housing ministry is an affiliate of Habitat International. Habitat builds houses in partnership with families in need, giving them hope to rise above discouraging, ever-increasing housing costs by giving them a home where they can build a life. The strength and foundation of a home can be the hope that transforms the life of a family. Fort Collins Habitat for Humanity has built 70 homes locally and 210 internationally. Partners Mentoring Youth’s mission is to create and support one-to-one mentoring relationships between positive adult role models and youth facing challenges in their personal, social, and academic lives. 2018 marks our 40th Anniversary of enriching lives and building community as leaders in youth mentoring. We serve over 500 local youth in our community-based and school-based programs as they gain confidence, life skills, and hope for the future from spending time with their mentor. As a private nonprofit, we depend on the community for volunteer and financial support to invest in the futures of local kids. The Matthews House empowers youth and families to disrupt the cycles of poverty and abuse. Every child aging out of foster care in Larimer County is referred to our services to help them transition into adulthood. The Matthews House also works with hundreds of at-risk families seeking stability. Many of these families are dealing with serious issues, like homelessness, domestic violence, or substance abuse. Finally, it is our goal to prevent as many youth and families from falling into crisis in the first place. We therefore offer many prevention programs, as well, like parenting classes, English-as-a-second-language training, high school equivalency courses, and job training opportunities. Rotary, along with our partners including the Bill and Melinda Gates Foundation, have reduced polio cases by 99 percent worldwide since 1988, going from 350,000 cases of polio yearly in 125 countries to 16 cases identified in 2016 in 3 countries. Rotarians and other volunteers have helped immunize nearly 3 billion children around the world. We are close to eradicating polio, but we need your help. For as little as $0.60, a child can be protected against this crippling disease for life. Your donation can result in up to a 2 for 1 dollar match thanks to the Rotary Foundation and the Gates Foundation’s matching programs. To end polio, we must stop transmission of wild poliovirus in the 3 remaining polio-endemic countries: Afghanistan, Nigeria, and Pakistan We must also keep other countries polio-free until we achieve certification and officially eradicate polio. Until then, up to 60 high-risk countries continue to operate large-scale immunization campaigns to protect children against polio. We can't stop until we can ensure that all children are protected against the disease. The World Service Committee of the Foothills Rotary Club of Fort Collins focuses on international projects that help provide clean water and sanitation internationally. Clean water, sanitation and hygiene education are basic necessities for a healthy environment and productive life. At least 3,000 children die each day from diarrheal diseases caused by unsafe water. Our commitment is to provide funding to projects and local Rotarians are involved with selected projects currently in Ghana, Mexico and Tanzania. Rotary members also teach these communities to maintain new infrastructure, and organize educational projects to promote hand-washing and other good hygiene habits. When people have access to clean water and sanitation, waterborne diseases decrease, children stay healthier and attend school more regularly. Whether it’s a spot you frequent or discovering a hip new place across town, visit multiple spots along the trail so you can win cool prizes! The more spots you hit, the more you win. Whether it’s a house warming present for your new neighbors or for the guy who has everything, give them the satisfaction of saving money and the warm, fuzzy feeling of supporting charity with the Fort Collins Ale Trail Pass! You've got questions. We have answers! How do I purchase the Trail Pass? 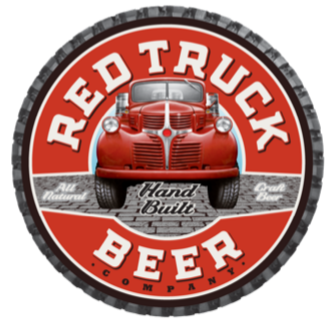 You purchase the Fort Collins Ale Trail Pass for $20.00 on the DonorTrail App or you can purchase a gift card that you redeem on the App. Remember you can purchase the Trail Pass as many times as you’d like so you’re never short of great deals! How do the charities get their money? The Fort Collins Foothills Rotary Club manages the collection of the donations to the charity of your choice. They are 100% volunteer run with no administration cost. The Host Club determines the proceeds collected from the Trail Pass and each charity is given a check by the Club. How long does the Trail Pass last? The Trail Pass is valid for 12 months from the date you activate it. We encourage you to take your time to visit all the spots on the Trail. Remember, it’s the journey, not the destination! So don’t forget to stop and smell the hops! How do I redeem prizes? 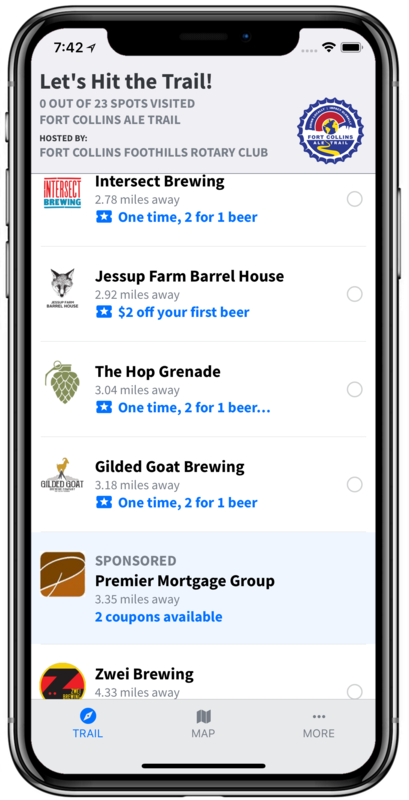 After redeeming offers from a certain number of local businesses, you’ll see a message in the app letting you know where and when to redeem your prize!